Welcome to the Website of Kew Hebrew Congregation. We are a Modern Orthodox Congregation. 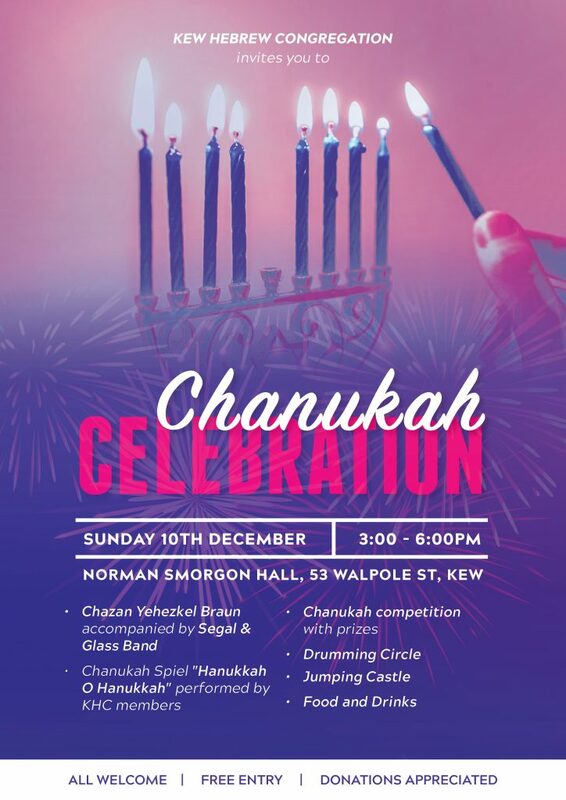 Our aim is to provide spiritual, cultural and social activities for the Jewish community as well as to foster and promote Jewish religious education now and into the future for both adults and children. On these pages you will be able to find information about our history, staff, library, shiurim, courses, information and instruction booklets, news, functions and events, religious services and much more.